According to the company’s release, the Coinbase Card is powered by cryptocurrency balances in customers’ Coinbase accounts. 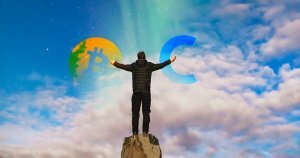 The exchange’s customers will have the ability to pay in-store and online using Bitcoin (BTC), Ethereum (ETH), Litecoin (LTC), and other coins. The card can be used to make payments through contactless, chip and PIN, and offers the ability to withdraw cash directly from ATMs. The company says the card can be used with any merchant on the Visa network as coins will instantly be converted into fiat currency such as GBP. The Coinbase Card will be issued by Paysafe Financial Services Limited, the company said, which is an electronic money and payment instruments issuer authorized by the Financial Conduct Authority in the UK. 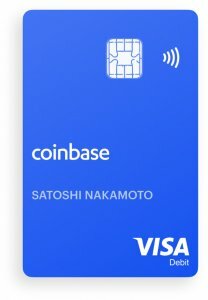 While the debit card will have a £4.95 to $6.50 issuance fee, Coinbase will waive the charge for the first 1,000 to join the watchlist. The news about the card was met with mixed reviews, as some users were worried about the possibility of high fees that would make the card virtually useless. It’s still unknown whether the card will be a hit in the crypto community. The post Coinbase Card will allow UK in-store payments using Bitcoin, Ethereum and Litecoin appeared first on CryptoSlate.